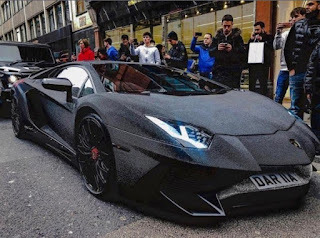 The 24-year-old model told her 113,000 Instagram followers that it took London auto customisers CarsinCloaks more than 700 hours to install the man-made gems by hand. 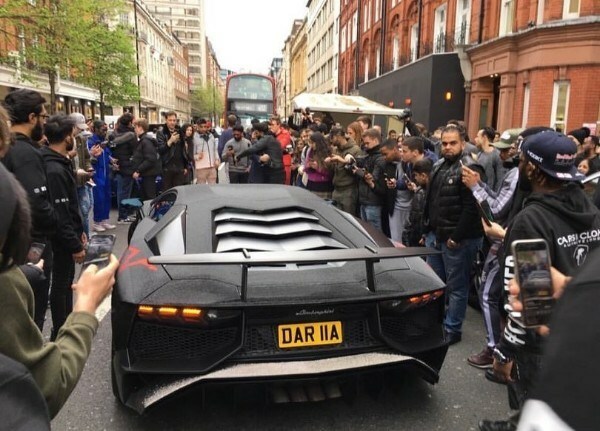 The supercar also has personalised licence plates – DAR 11A – to make sure other drivers know who’s behind the wheel. The Lamborghini Aventador is not the only car in her fleet that has received this stunning modifications. 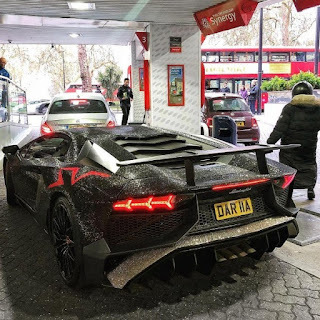 Last year, she stunned pedestrians when she drove her £150,000 Lamborghini Huracan covered in 1.3 million crystals down Oxford Street. 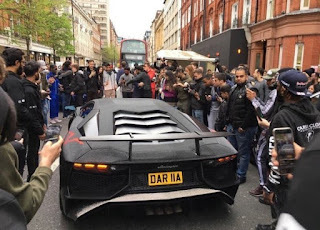 The Huracan featured her trademark “BA11 BYY” number plate which previously appeared on her pimped out velvet Bentley Continental GT. She is has a Mercedes-Benz CLS that is covered in 1 million Swarovski Crystals.